Dublin won’t seek a backup facility when its bailout ends. The move shows how Ireland has regained market trust but says little for euro zone solidarity. The country has weak banks, and remains over-indebted and exposed to shocks. Still, the odds are that it will make it. 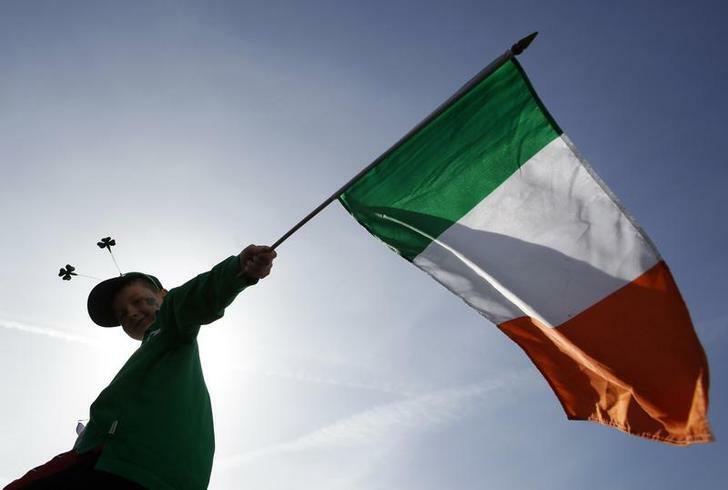 A boy holds a Republic of Ireland flag during a St Patrick's day march in central London March 15, 2009. Irish Prime Minister Enda Kenny said the country would not seek a precautionary credit facility from euro zone partners when its bailout ends this year. A precautionary facility is a precondition for the European Central Bank to purchase sovereign debt in its so-called outright monetary transaction programme. “This is the latest in a series of steps to return Ireland to normal economic, budgetary and funding conditions… We still have a long way to travel but clearly we are moving the right direction,” Kenny told parliament on Nov. 14. Ireland was forced to seek an 85 billion euro bailout from the International Monetary Fund and other euro zone countries in 2010 after pouring 64 billion euros into its banks, or 44 percent of GDP. The country had been expected to seek the facility when the bailout ends this year.